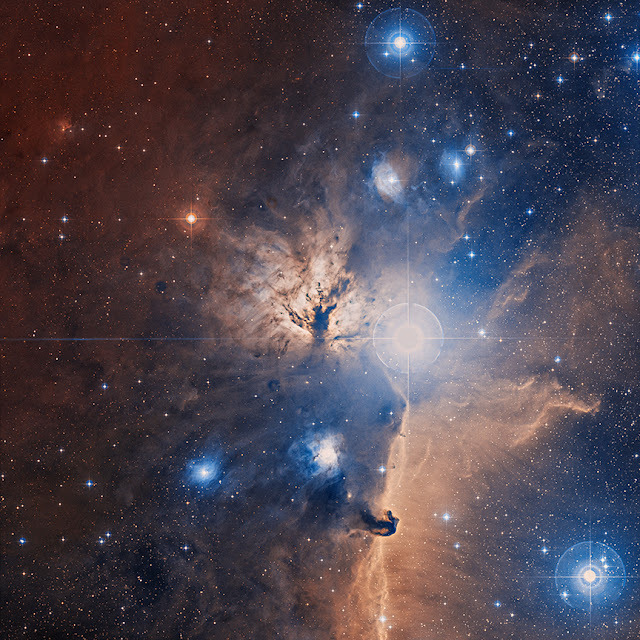 An optical image, from the Digitized Sky Survey, of a large field centered on the Flame Nebula. A comparison with the composite image from Chandra and Spitzer - shown as an overlay - demonstrates how powerful X-ray and infrared images are for studying star forming regions. The central cluster of stars, NGC 2024, is clearly observed in the X-ray and optical images but is not visible in the optical image.